Through the wonders of world web, you don’t have to travel to Las Vegas or Macau because Redstar Casino can bring the best in casino gambling straight to your screen. Redstar Casino is dedicated to providing its clients with a very friendly gaming environment in which they can enjoy great, varied gaming content and outstanding customer service. The casino is available in instant play flash version that allows gamblers to enjoy it through any flash compatible internet browser. Unfortunately, there is “no play” on real money for residents of the United States, United Kingdom, Italy, Australia, France, Cyprus and Asia. How to join Redstar Casino in a few minutes. All you need to do in order to become a client of the casino is to enter your cell number, address, country of registration, passport data and create your login and password. Site uses a simple instant-play interface and operates English, Spanish, Russian and Ukrainian. Company is licensed and authorized by the Government of the Netherlands Antilles and operates under the Authority of Master Licensing and Hosting provider Cyberluck Curaçao, so you can be sure that all its activity is fully legal and your data is secured. The casino supports various currencies and multiple banking options, including Bitcoin. Players can choose games from some of the biggest names in the industry like Microgaming, Net Ent, Tain, Endorphinia, Quickspin, Play‘n Go and others. • Redstar Casino is home to a wide variety of slot machines, including Medusa’s Golden Gaze, Showdown Saloon, Action Ops, Valkyrie, etc. Some popular jackpot games include Mega Moolah, LotsALoot and others with total prize pool over $12 millions. • If you prefer classic casino table games, you have plenty to choose from also. Redstar Casino offers different variations of Roulette, Money Wheel, Keno, Baccarat, Black Jack, etc. • The gaming content also offers specialty games like Video Poker variants (Aces and Faces, Jacks or Better, etc) and Virtual Sports (Single, Instant Greyhounds, Cycling Single, etc). • If you want to play No-Limit Texas Hold’em, Pot-Limit Omaha, Razz or 5 Card Draw this isn’t a problem. Redstar Casino offers selection of daily tournaments from €0.22 cents to €2000. • It is also a multi-sports tipping service that sends out daily selections focusing not only on top sport events but also politics, cyber-sport and films. The site offers a wide range of betting lines live and pre-match. • Redstar Casino would like to welcome you with 100% Deposit Match Bonus offer. You can receive 100% bonus up to $ 100 (€ 100, RUB 6000) with bonus code: 100RSC. 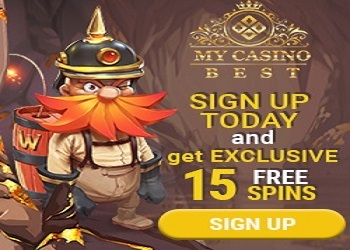 Second Deposit Bonus – 50% up to $ 100. • The casino has new promotion for slot fans - you can earn $ 100 on your winning by showing the biggest multiplier of the day. The best monthly multiplier will receive Samsung Galaxy S9 additionally! • You do not need to be a big money player to become a daily slot champion - just win big! Lose more than $ 100 on Monday – and get 10% cash back, to give it another go! • Deposit money from December 25 to January 8 (inclusive), GMT time, and grab up to 750 freespins during the promotion period. One day - one deposit - 50 freegames with no wagering requirements! • Only for Christmas and New Year time make deposit from $10 and get $10 free bet as a gift. It starts on December 25 till January 8 (inclusive). • Redstar Casino offers best odds that will be growing every day on ТОР-3 sport events of the week. • You can earn conditions for you to make your game on this site even more pleasant and rewarding in VIP club. The casino supports some of the world’s leading names in banking methods. From credit, debit and prepaid cards to crypto currency and web wallet, you are sure to find one that works for you. Here are a selection of payment methods available: VISA/MasterCard, QIWI, WebMoney, Skrill, Moneta, Neteller, Cash payment through Yandex office, BeeLine, MTS, Megafon, TELE2, Yandex money, Alfa-Bank, Promsvyazbank, EcoPayz, Paysafe, Rapid, Advancecash, Privat24, Bitcoin. Minimum amount for the deposit is 10$/€ and maximum amount of withdrawal are: CC - 250$/€ per transaction, QIWI - 15000 RUB per transaction, 150000 RUB per day, WebMoney - 5000$/€ per transaction, Skrill - 3000$/€ per transaction, Moneta - 15000 RUB per transaction, Neteller - 2500$/2000€ per transaction, Yandex money - 15000 RUB per transaction, 150000 RUB per day, BankWire - 15000€ per transaction, EcoPayz - 3000$/€ per transaction, Bitcoin - 20000€ per transaction. Standard time of withdrawal processing is up to 8 hours on working days and up to 24 hours on weekends and holidays. Unfortunately, withdrawals are not processed during the night hours (GMT time). Withdrawals through CC usually take up to 3 - 5 working days.